Don’t despair if your computer, laptop or Mac cannot be repaired or is too costly to repair – it is still likely that we can still retrieve your valuable files and invaluable family photographs for you. If the hard drive in your failed machine is still functioning and stable, we can put the hard drive into an enclosure which you can then use as a portable hard drive or we can transfer your valuable data to your external hard drive. This only costs you minimum charge to half an hour labour depends on how much data you have. Alternatively if your hard disk is unstable we will endeavour to successfully recover your data and transfer your files, music, photos etc for you onto your new computer. We could also provide them to you on an external hard disk. It depends on how damaged your hard drive is as to whether we can successfully retrieve your data from it. For file system corruption we have great success to recover the data, no matter it's Windows NTFS, FAT, FAT32 or Apple Mac HFS or even Linux ext3 and ext4. For the hardware failure we still have 50% recoverable rate. If your data is recoverable we have a set fee of $165 to transfer your data to your portable hard drive. For this low fee, we need you to bring your computer to our workshop in Taree. To find out if your data is recoverable charge a diagnosis fee of $39. 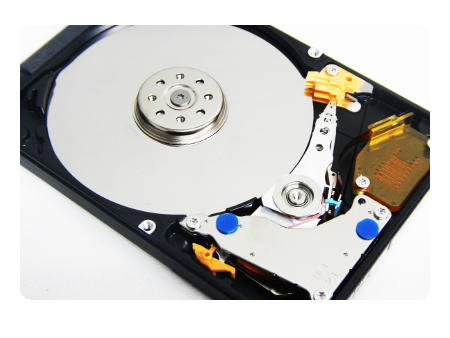 We only charge this fee if after a thorough examination of the hard drive, employing several different methods of data recovery we determine that the drive is too damaged for us to successfully recover your data. The diagnostic fee only partly covers the time that we take to determine whether or not your data is recoverable. We only offer this service in our workshop in Taree. We will not charge you the diagnostic fee if we are able to successfully recovery your data for you. You will only be charged the data recovery fixed fee of $165. It is more cost-effective to have this service undertaken in our workshop as we are able to multi-task and thus save time and the cost to you for what is often a lengthy data copying process. If we undertake the data recovery at your home or office we will charge for the full time that we are on-site at our hourly rate of $110. If you request we undertake a diagnosis to determine whether your data is recoverable or not at your home or business, our normal hourly rate of $110 per hour would also apply. It is also sometimes possible for us to retrieve your data from your damaged portable hard drive or camera sdcard and USB sticks. External hard drives are very delicate devices and need to be treated with great care. If you knock or drop your external hard drive while backing up your chances of data recovery are unfortunately reduced. If this is what has happened to you and your drive, please give Jim a call on 0490 146 769 and we will discuss your options with you. To give yourself peace of mind that Jim The Computer Man provides a good data recovery service, please read some of the reviews written by our customers to see what they have to say. In the unfortunate cases where your hard drive is so corrupted and damaged that we cannot retrieve you data you may want to consider taking your hard drive to a data recovery laboratory. Jim The Computer Man is the partner of Data Recovery Specialist Kroll Ontrack Sydney and we can send the damaged hard drive to them. Please note that this can be very expensive. However if you have lost years worth of photos and information it may be an option that you have to employ. Specialised data recovery experts use clean rooms and special tools to repair your hard disk and recover some or possibly all your data. They even wear masks and white coats! We can advise you based on feedback from customers which laboratory you may wish to go to. We are open Monday to Friday – 8:30am to 5pm, Saturday – 9am to 12pm . Our usual turnaround time is two to three days. Call Jim on 6515 2211 or 0490 146 769, email us or fill in the Form below and we will do our utmost to recover your data for you.